When you're looking for a top that isn't a button down for work, where do you usually turn? Sure, you can go for a bow tie blouse but that usually requires ironing. 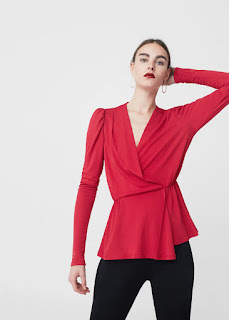 I love the wrap top because it is is easy and usually machine washable, which let's be honest, is all I really look for in a work blouse. 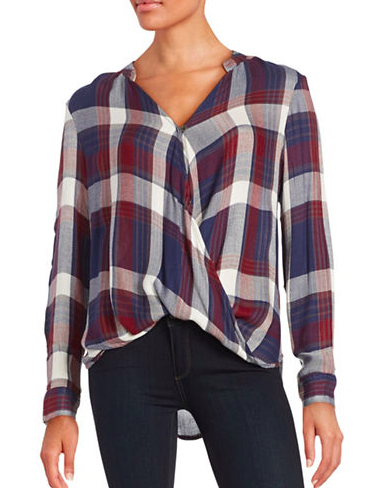 I love this top for work or play. Dress it up with a pencil skirt and dress it down with ripped jeans and boots. A beautiful mossy green that is quiet and comfortable. 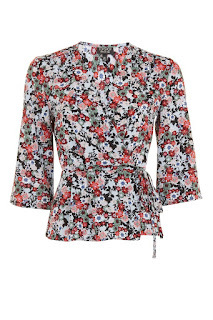 A cheery and floral print that I love to wear with a pair of pencil pants or under a suit jacket. This top is divine. The waist has elastic in it so it fits perfectly to your torso. 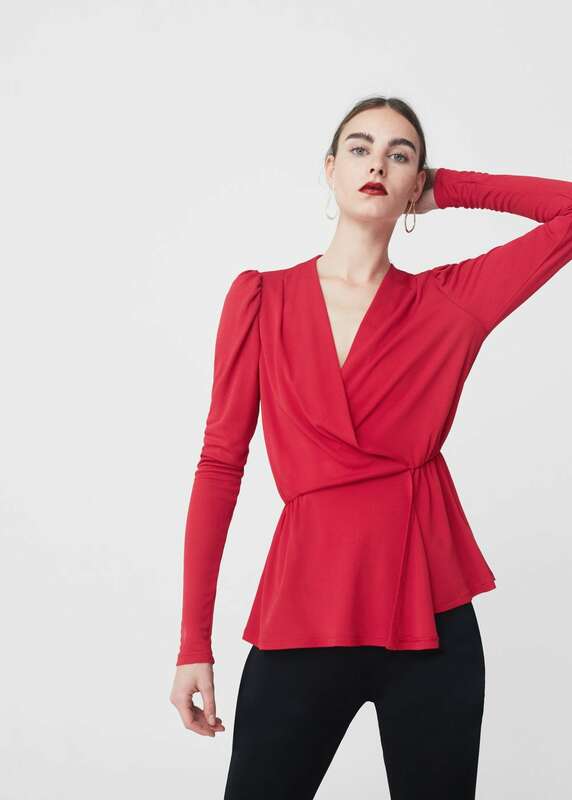 Playing with silhouettes using a wrap blouse is great for work or play. 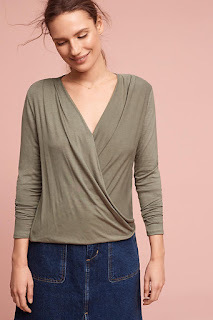 Stock up on solids and I promise you will wear them (and wash them) to get your moneys worth.